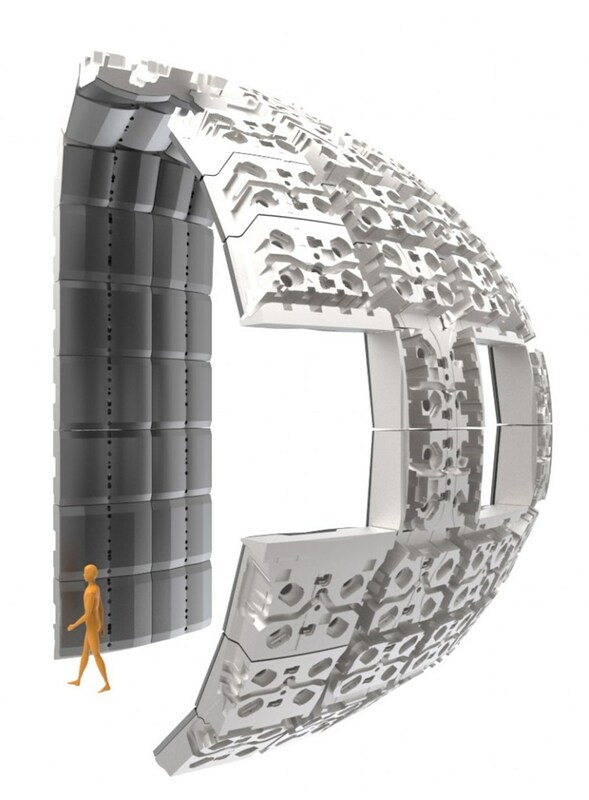 The 440 blanket modules that completely cover the inner walls of the vacuum vessel protect the steel structure and the superconducting toroidal field magnets from the heat and high-energy neutrons produced by the fusion reactions. As the neutrons are slowed in the blanket, their kinetic energy is transformed into heat energy and collected by the water coolant. In a fusion power plant, this energy will be used for electrical power production. Each blanket module measures 1 x 1.5 metres and weighs up to 4.6 tonnes. 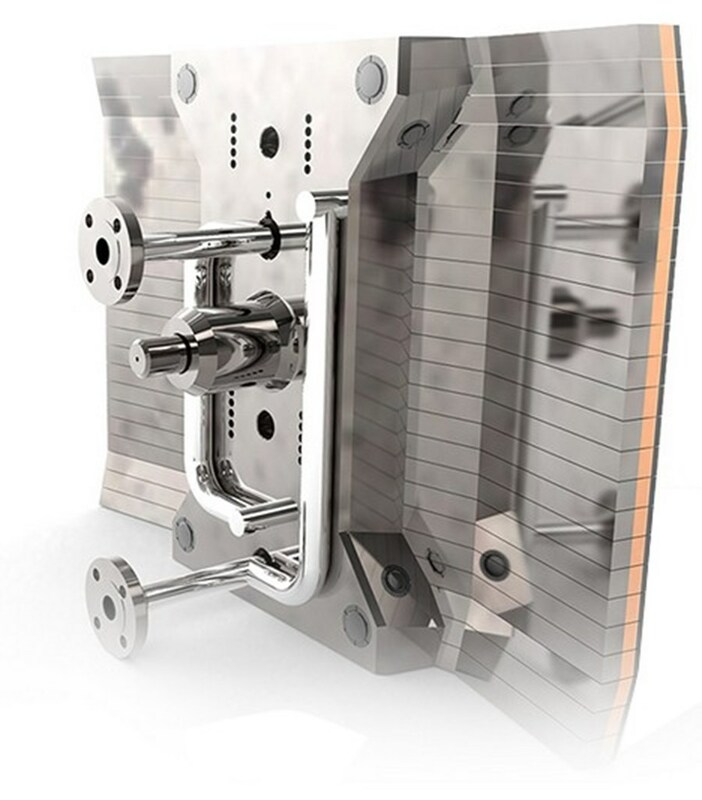 Over 180 design variants exist (related to the position of the modules in the vacuum vessel), but all have a detachable first wall that directly faces the plasma and removes the plasma heat load, and a main shield block that is designed for neutron shielding. 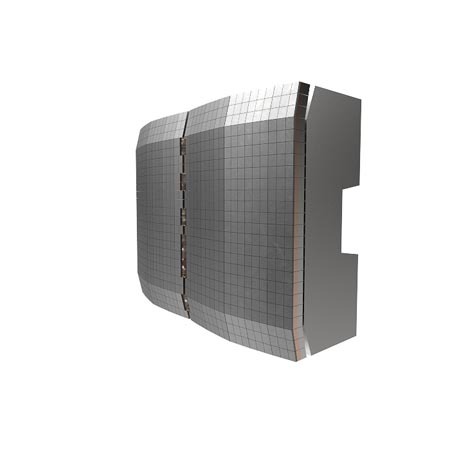 The blanket modules also provide passageways for diagnostic viewing systems and plasma heating systems. 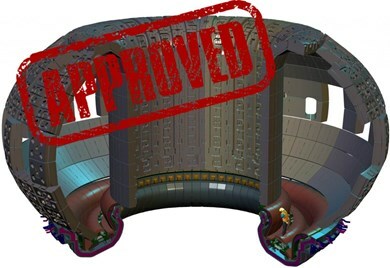 ITER will be the first fusion device to operate with an actively cooled blanket. The cooling water—injected at 4 MPa and 70 °C—is designed to remove up to 736 MW of thermal power. 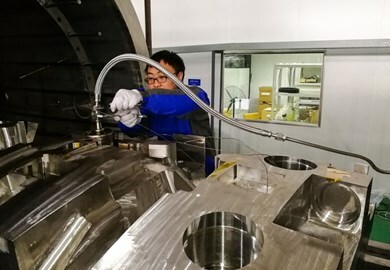 During later stages of ITER operation, some of the blanket modules will be replaced with specialized modules to test materials for tritium breeding concepts. A future fusion power plant producing large amounts of power will be required to breed all of its own tritium. ITER will test this essential concept of tritium self-sustainment. The first wall panels are the detachable, front-facing elements of the blanket that are designed to withstand the heat flux from the plasma. These highly technological components are made of beryllium tiles bonded with a copper alloy and 316L (N) stainless steel. Depending on their position inside the vacuum vessel the first wall panels are subject to different heat fluxes. 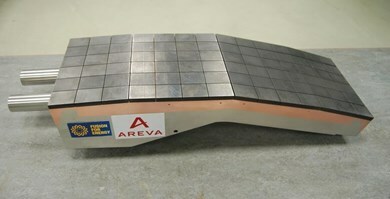 Two different kinds of panels have been the object of a multi-year qualification program that has included the fabrication of semi- and full-scale mockups and testing: a normal heat flux panel designed for heat fluxes of up to 2 MW/m² and an enhanced heat flux panel that can withstand heat fluxes of up to 4.7 MW/m². Within ITER's operational lifetime, these panels will be replaced at least once. The first wall panels are made out of shaped "fingers" (see horizontal lines in image) that are attached to a structural beam that serves as the backbone of each panel and that also houses the cooling water channels. The panels will be attached to the structural shield block by special studs. The shield blocks (the heavier of the two elements, at left) provide nuclear shielding for the vacuum vessel and coil systems as well as support for the first wall panels. 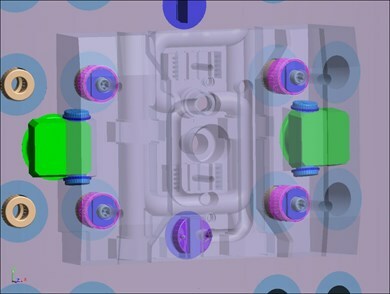 Cooling water will run to and from the shield blocks through manifolds and branch pipes to remove the high heat load expected during ITER operation. Each shield block will be bolted directly to the vacuum vessel at four points. 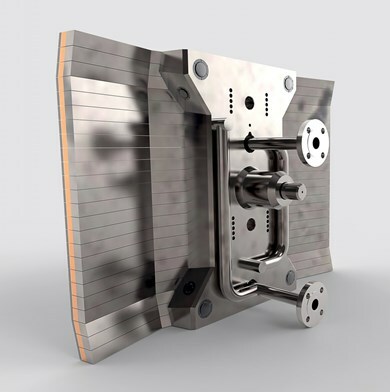 Installation of the 440 modules will be challenging, as they must be aligned with tolerances of approximately 10 mm globally and with nominal gap requirements between adjacent modules (both vertically and horizontally) of +/-4 mm. 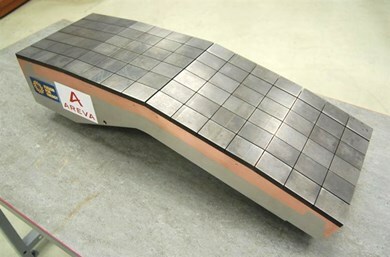 Customizable components will be individually machined as installation progresses to achieve these tolerance parameters.